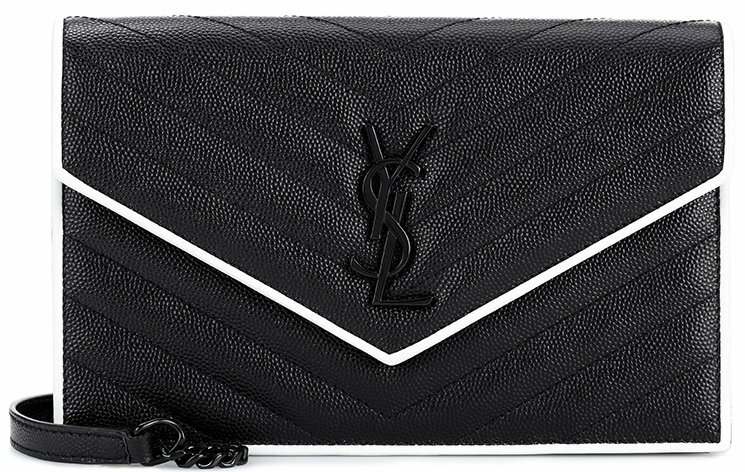 Last time we’ve talked about the Saint Laurent Envelope Chain Bag, which is handsome but flat shoulder bag, crafted in mix of sophisticated quilting. Today I want to introduce a smaller and less busy version. One that you can carry effortless throughout the day and night. 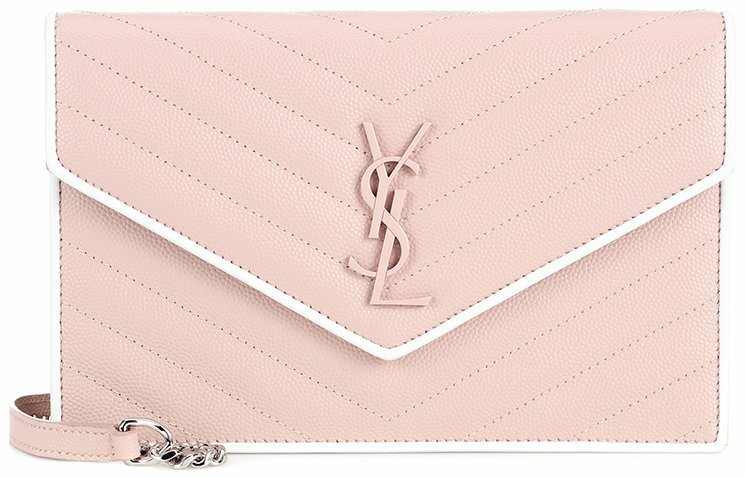 It’s the Saint Laurent Classic Monogram Envelope Flap Bag. 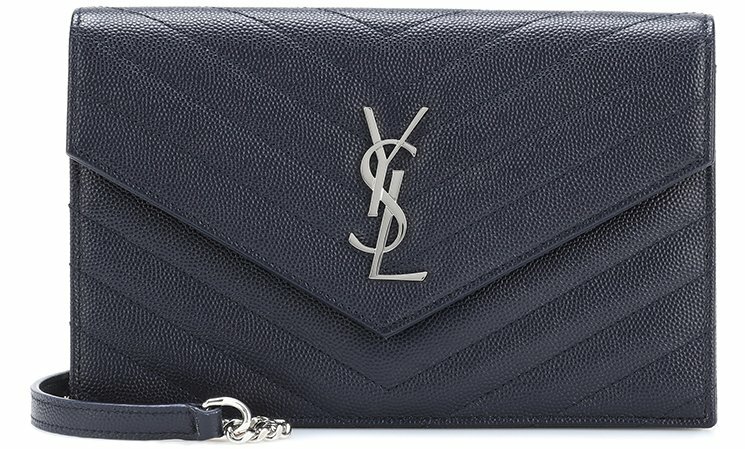 The Classic Monogram Envelope Flap Bag is truly one of Saint Laurent’s darlings. Owning one piece is like an investment for eternity; this bag will never go out of style. 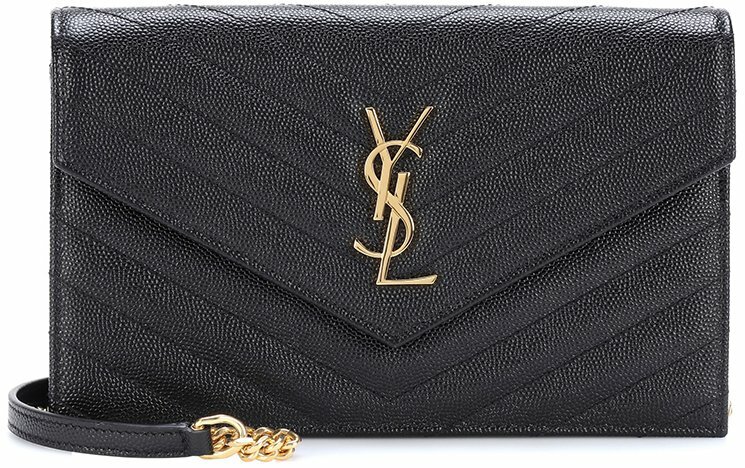 In the future, pass this handbag as a limited vintage to your granddaughter, because the YSL brand will still be shining just like decades ago. Just like a WOC bag, it’s useful for many occasions. Use it when you don’t feel like carrying a big bag or when you decide to go out at tonight. 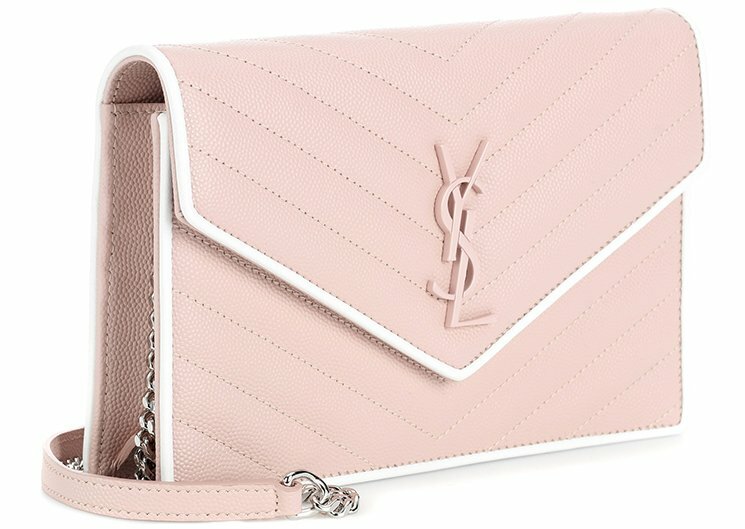 It’s beautifully crafted in Chevron Quilting, which is done softly and lightly so it doesn’t distract the eyes from the vital component – the iconic YSL logo. 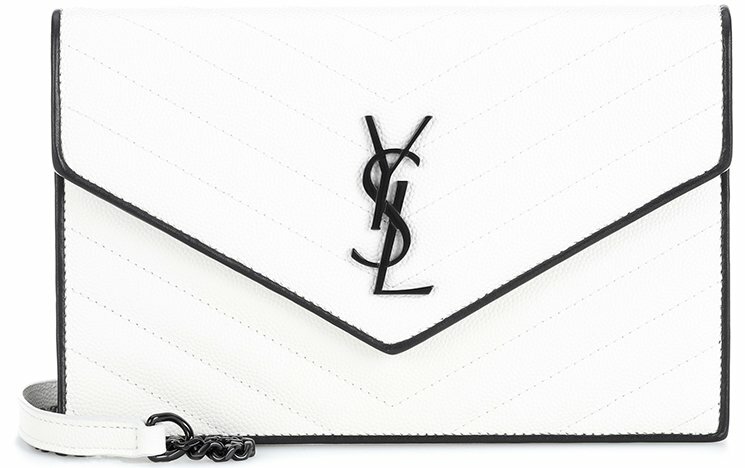 The YSL logo is put in the center of the envelope-shaped flap. It’s the critical piece that gives the other parts value. 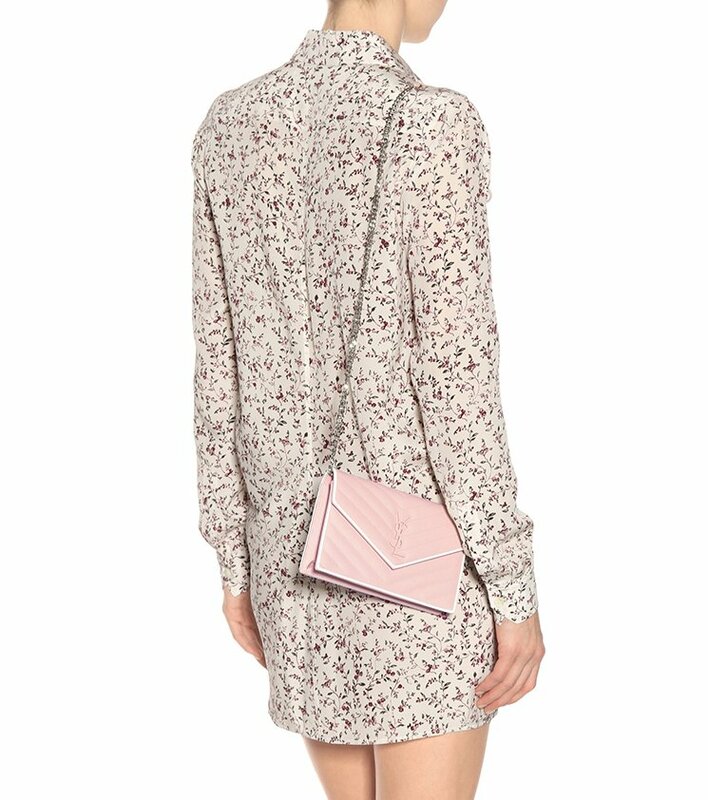 This bag also comes with a long chain strap, reinforced with a leather patch for shoulder comfy. Just like I said, it’s a simple yet classic piece. It’s a statement maker. Made from strong and durable calf leather. This is another worry that can be cross out from your checklist – you won’t need to baby this bag all day long. 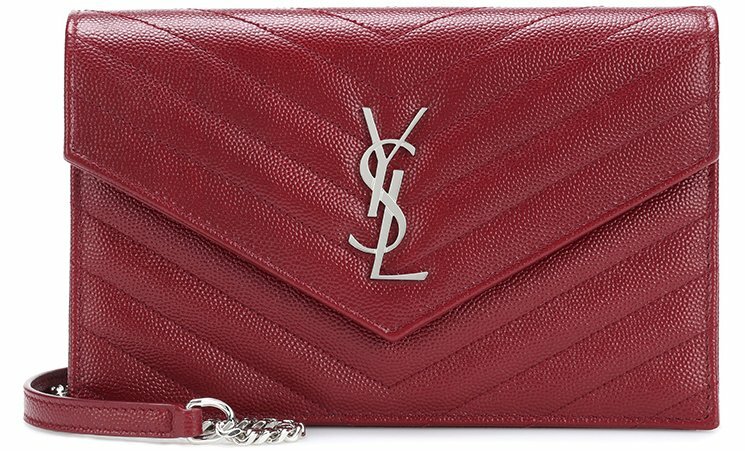 It’s a small-sized handbag, but big enough to keep your necessities safe and structured. 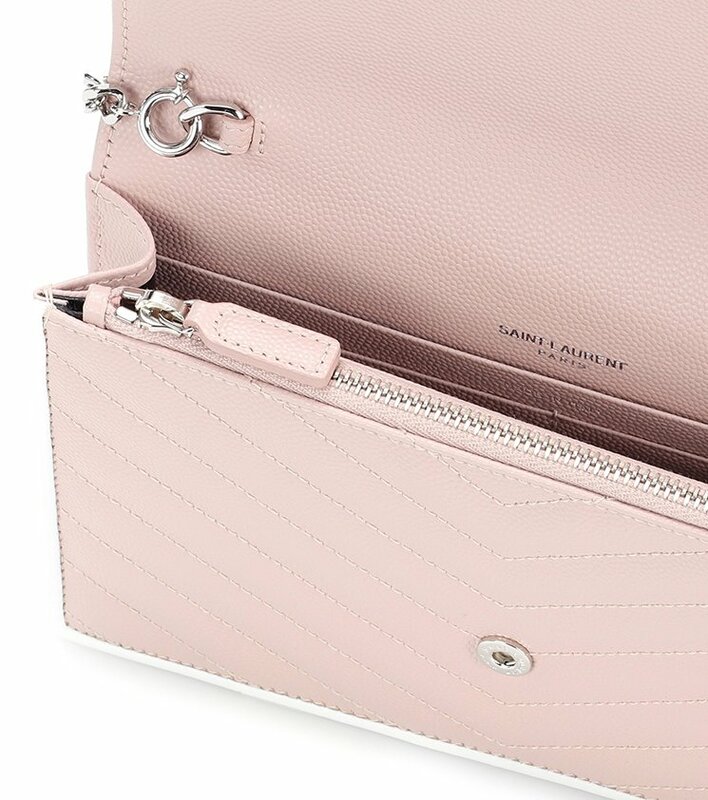 Inside you will find one main compartment including card slots and a bill slot. There is also a built-in zip pocket, for important stuff. Measuring 4.5’ x 7.5’ x 1’ (H x W x D) inches, priced at $1350 USD, €755 EUR, £770 GBP, $1790 SGD, $10080 HKD, $1840 AUD, ¥120000 JPY. 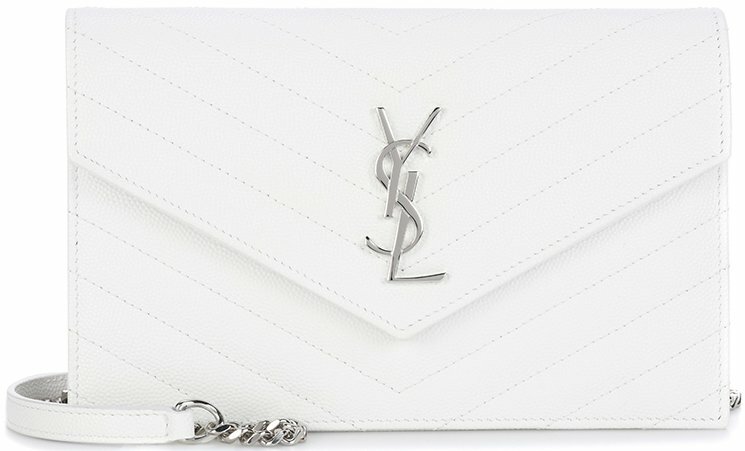 Where To Shop the Saint Laurent Classic Monogram Envelope Flap Bag? 1. MyTheresa – one stop all colors, find all the shades here. 2. Farfetch – fyou can find more styles, colors and sizes here. 3. Matches Fashion – Find some limited styles here.